Experienced Graphic Designer, still no work? I totally agree with ray, being top rated I got the chance for a personalized profile review from them, so they told me to narrow down my area of expertize to min 2, so I chose graphic design and illustration, even do I do packaging too, a bit of this a bit of that. Why don't you consider to lower your rate until you get Top Rated? ( this way people will know you are trusty) as a designer and I guess you can charge as much as you want and have an argument for that. 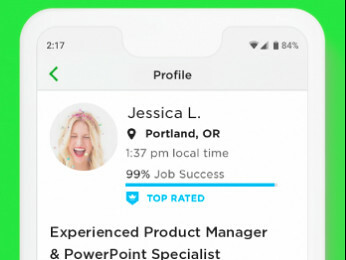 keep in mind that the majority of upwork clients isn't looking for the best qualified option, but the cheapest option. From my experience, the proposal is 50% of how you get your job. No work history or portfolio items will suffice if you don't sit down and deconstruct the job you have before you. There are several replies on your post that link to various posts which can help you get familiar with how to score your first job. I just wanted to say: follow them through. 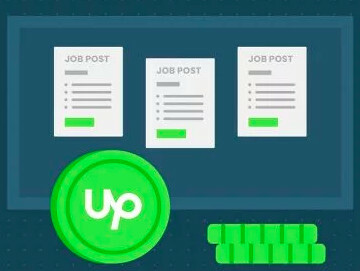 Upwork blog posts have been an invaluable training that not one single person can provide. Jsut stick to what people tell you there. My first job, as well as most other jobs I have here, are a consequence of me having a skill that the client desperately needs, and the willingness to deliver the best possible work in the shortest amount of time. These three points have shown to be the two most important things to my clients. You seem to have the technical quality that is required for high-level jobs, and those aren't lacking on UpWork. 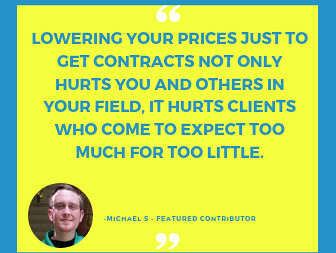 I would also suggest offering a competitive price reduction for the first couple of jobs, so if your hourly rate is not set in stone, offer the client a better bargain in exchange for an awesome review and let that rising talent badge shine. Once you pull through the initial period, things really start to turn for the better. That's how you get a job. You are given 60 Connects at the beggining of the month, that is more than enought to keep you occupied for 30 days of dedicated proposal writing. One hour every day will probably land you a job after a week or two. It was the same thing to me, experienced video editor for 12years, and first i faced a difficult situation applying to jobs with ne reply fromclients, being patient and improving my portfolio i got my first job then more then 30 Jobs successfully done. simply .. try to bring your clients to upwork untill you make strong rate then it works dairy its self ! Dairy??? what does milk, butter and cheese have to do with upwork? Oh I get it! If you're smooth like butter you can milk the clients and they'll give you lots of cheese! They can be your cash cow if they don't act like pigs and get your goat. But don't put all your eggs in one basket and don't be chicken to accept a challenge. You may not get the cream of the crop at first but keep churning out great work just like any cocky-dude'll-do. Right? What is this you say?! do not consistent behind a word And begin to create your equations !